Pawpaw is a tasty, although unusual, fruit. 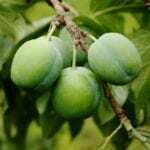 Though it is a member of the mostly tropical Anonnaceae plant family, the pawpaw is suited for growing in humid temperate regions in USDA gardening zones 5 through 8. Besides the interesting fruits, pawpaws also have beautiful, deep red or purple flowers that look like they date from the age of the dinosaurs. It is difficult to propagate the tree in this manner. According to people experienced with this tree, pawpaw sucker propagation tends to have a low success rate. But it can be done. Pawpaw trees produce root suckers because of their natural growth strategy in the wild. They grow in patches of clonal (genetically identical) trees that spread underground via the root system. It is possible to take advantage of this to propagate the trees. Growing pawpaw sucker root cuttings tends to be most successful if you first encourage the sucker to produce more roots and establish its own, independent existence. To do this, cut the root sucker off from its parent tree by cutting into the ground with a spade the year before you will transplant. If you didn’t do this the year before, do it a few weeks before you intend to transplant. You may want to use several root suckers to do this, since it’s likely that not all will survive. The best time to transplant the tree shoot is a few weeks after bud break in the spring, when the suckers have leaves that are not yet full size. Dig up the sucker along with the soil around its roots. Bring as many roots as possible with it. Immediately transplant directly into the ground or into pots filled with a rich soil mix. Keep the suckers well watered, because if they dry out, they will likely die. Provide with shade in the first two years. Pawpaw sucker propagation is difficult but, if successful, it has several advantages over seed propagation. 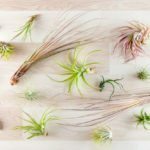 Plants grown from root suckers should produce fruit in 2 to 3 years, and they should have the same characteristics as the parent tree, since they are genetically identical to it. Growing pawpaws from seed is the most common method for home propagation. Plants grown from seed usually produce fruit between 4 to 8 years after sowing. Pawpaw seeds must be treated with cold stratification to break dormancy, and they take about 45 to 60 days to emerge from the soil after sowing. Be sure to germinate them in deep containers (such as tree pots), because the root grows to be over a foot long (30 cm.) before the shoot emerges from the soil. Grafting is a common method of growing pawpaw. A grafted tree can produce fruit in as little as 2 to 3 years. Chip budding is the most common grafting technique, but other techniques can also be successful.